The Tiffen 4 x 6" 2 Red Hard-Edge Graduated Filter helps to specifically add a warm, bright red coloration to skies and other bright areas of an image while allowing a portion of the image to remain neutrally colored. The filter's coloring is densest at the edge and tapers to clear by the middle, with a hard-edged transition between the density and clear areas. 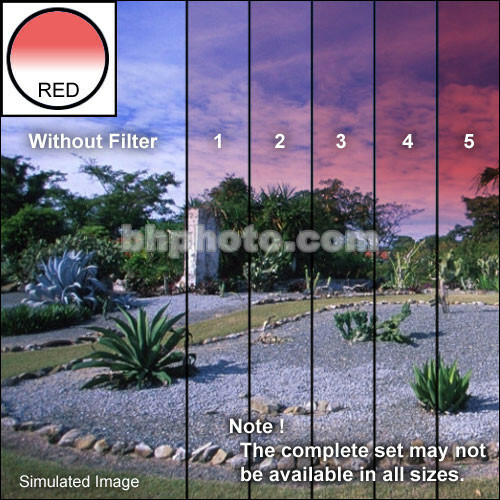 The 2 color density provides less red coloration than the 3 density, but more than the 1 density filter. Provides a bright red coloring to select areas of the image.